Why sit when you can learn to stand. 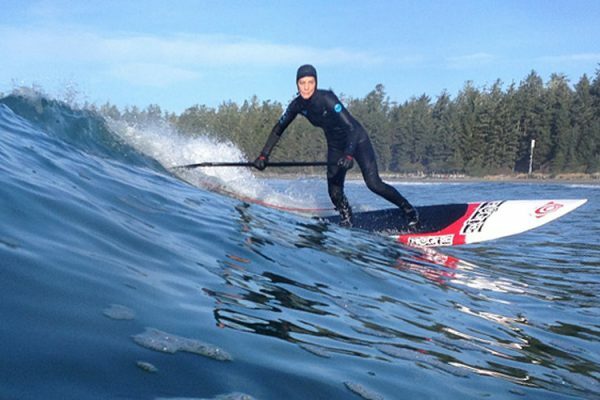 We offer a wide range of stand up paddling courses introduction to advanced. 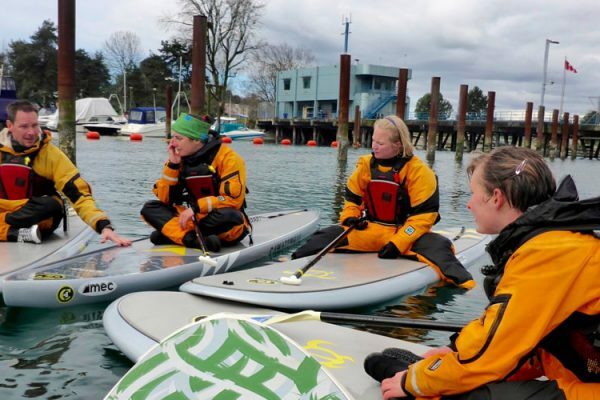 This 3-day program introduces SUP paddlers to the skills and knowledge required to teach the Paddle Canada Introductory SUP Programs. The course develops and assesses the skills to organize and teach half-day and full day on water SUP courses for new and curious paddlers. Learn and practise what you need to get out on the water on a SUP today. Our 3-hour introductory program covers all the basics of getting onto and off the water, controlling your SUP, and recovering from a capsize. All this in a relaxed and fun environment. 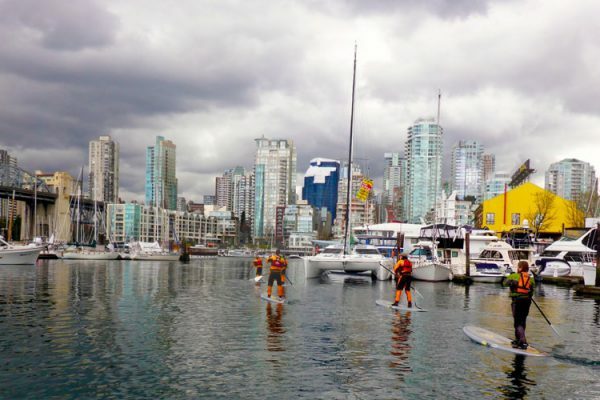 Our 3 hour Advanced Flatwater SUP course picks up where our Introductory Course ends. We’ll cover paddling in chop, pivot turns, efficient forward paddling, and other skills and techniques useful to a day trip in moderate conditions on the ocean. 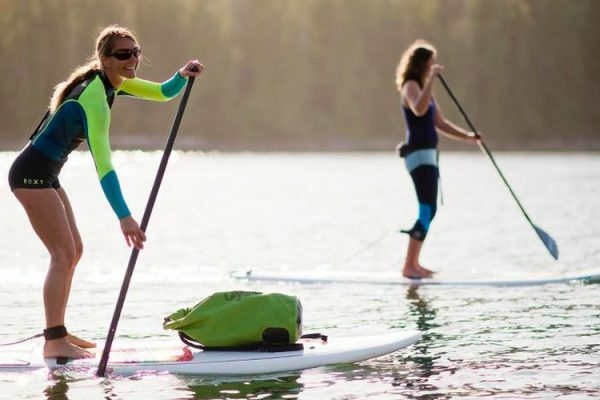 SKILS is super stoked to be offering this 3-day introduction to Stand Up Paddling in the heart of the spectacular wilderness that is Clayoquot Sound. You will be camping in an area perfect for developing SUP skills and you will learn all the basics of getting onto and off of the water, controlling your SUP and recovery techniques and SUP surfing! The ability to anticipate surf, read the surf zone, and control your SUP in the surf are essential skills for all open coastal SUP paddlers. 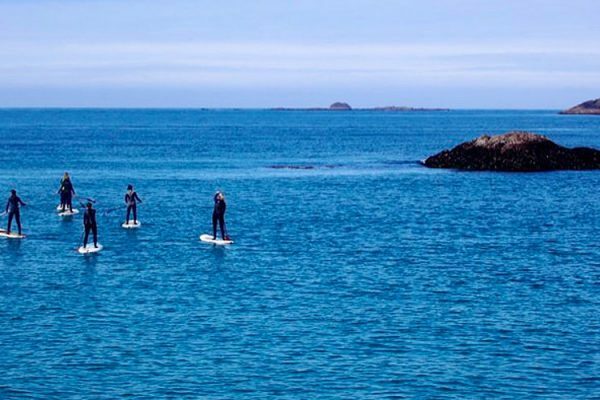 All our SUP Surfing courses are private and the dates are based on your availability.